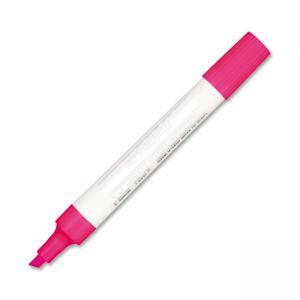 Highlighters contain water-based ink that will not bleed through paper. Ideal for classroom or conference room use on poster board and flipcharts. Designed for highlighting or underlining, versatile chisel tip marks with both broad and narrow lines. Color of barrel and cap matches ink color. Ink is certified AP nontoxic.